Play Flash animations in your presentations. Choose the Flash file and click OK. 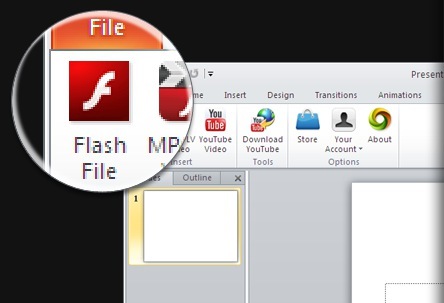 Enable Mouse or Keyboard interactivity during the Slide Show on the Flash animation. No more ActiveX headaches. No more security alerts. With ShowRoom, your Flash will always play.